Please select dates and click "Search" button to find available room in Hotel Die Port van Cleve. - Arriving by car, take direction 'Centrum'. Follow sign "Parkeer garage DE KOLK". - The KLM airport shuttle from Schiphol International Airport stops at our hotel. - Bus # 121 and trams # 1,2,5 from Amsterdam Central Station stop in front of the hotel. 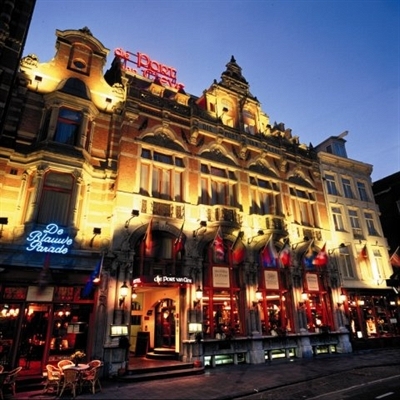 - Hotel is located within five minutes walking distance along Nieuwezijds Voorburgwal street from the Central Station.